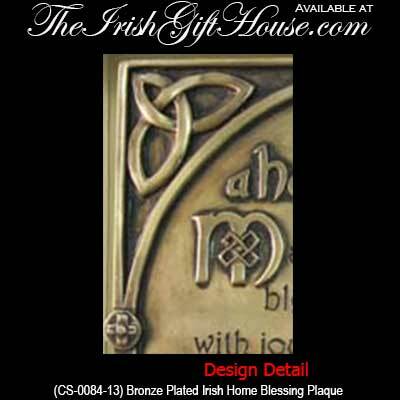 Irish home blessing plaque features a bronze plated finish along with Celtic knot-work. and may life’s passing seasons bring the best to you and yours. This Irish home blessing wall hanging features a Celtic knot-work motif that includes the Trinity. 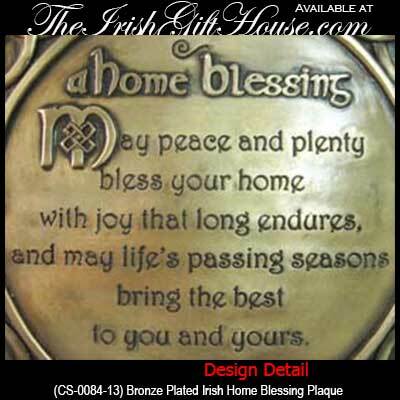 Made of hand crafted, cold cast bronze plated construction this Irish home blessing plaque measures 6" wide x 6" high x 1/2" deep and has a dimensional design that is ready to hang on your wall.